HP Company presented its wide format digital inkjet printing portofolio at Intergeo 2011 event between 27-29 September at Nürnberg, Germany. 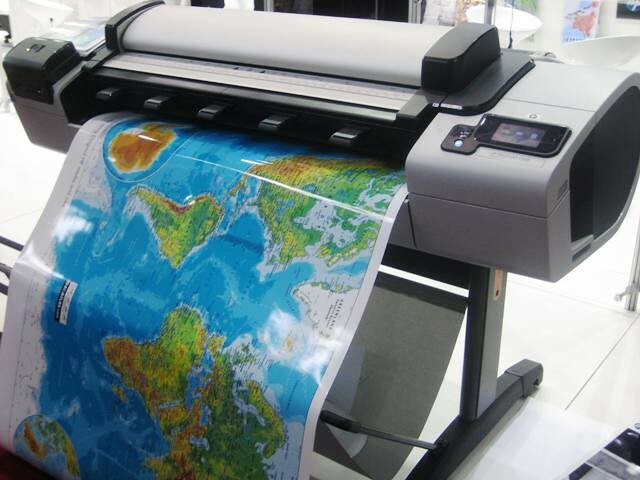 Star exposure was HP Designjet T2300 eMultifunction (eMFP), which allows users of AEC, MCAD and GIS to work more efficiently, thanks to quick setup, minimize manual operations and high speed order processing. Easy and intuitive, the first-ever Web-connected MFP benefits, Designjet T2300 revolutionizes how architects and designers approach their projects, being designed specifically to fit the style of contemporary work, and focused on collaboration. 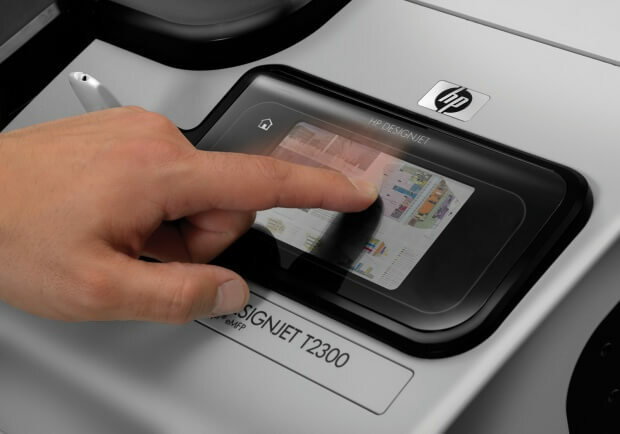 Thus, it can scan drawings and hand drawings with a single click and dissemination through a USB port or via the Internet, thanks to HP ePrint & Share option. Having a color touchscreen, the operations are intuitive and with the Web-connection it’s very easy to update it, software updates occuring automatically, every six months. This advanced tehnology printer features also eco specifications like save paper with automatic print settings and image nesting, less ink wasted due to efficient installation and maintenance routines, ENERGY STAR® qualifications.